The infamous 'man-eating lions of Tsavo' – which killed at least 35 people in Kenya about a century ago – chose to prey on humans because a severe tooth disease made hunting down other animals difficult. 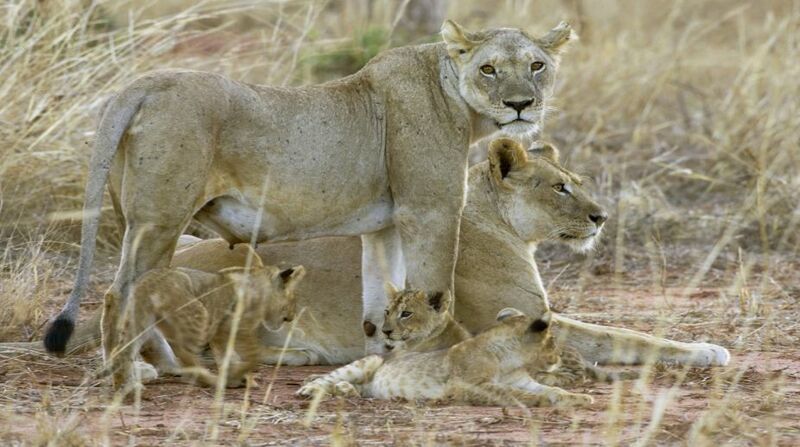 The study debunks the theory which suggests that prey shortages may have driven the lions to man-eating. At the time, the Tsavo region was in the midst of a two- year drought and a rinderpest epidemic that had ravaged the local wildlife. Researchers, including those from Vanderbilt University in the US, carried out an analysis of the microscopic wear on the teeth of the 'man-eating lions of Tsavo'. They employed state-of-the-art dental microwear analysis on the teeth of three man-eating lions from the Field Museum's collection: the two Tsavo lions and a lion from Mfuwe, Zambia which consumed at least six people in 1991. If the lions were desperate for food and scavenging carcasses, the man-eating lions should have dental microwear similar to hyenas, which routinely chew and digest the bones of their prey, researchers said. “Despite contemporary reports of the sound of the lion's crunching on the bones of their victims at the edge of the camp, the Tsavo lion's teeth do not show wear patterns consistent with eating bones,” said Larisa DeSantis, assistant professor at Vanderbilt University. “In fact, the wear patterns on their teeth are strikingly similar to those of zoo lions that are typically provisioned with soft foods like beef and horse meat,” said DeSantis. The study provides new support for the proposition that dental disease and injury may play a determining role in turning individual lions into habitual man eaters. The Tsavo lion which did the most man-eating, as established through chemical analysis of the lions' bones and fur in a previous study, had severe dental disease, researchers said. It had a root-tip abscess in one of its canines – a painful infection at the root of the tooth that would have made normal hunting impossible. “Lions normally use their jaws to grab prey like zebras and buffaloes and suffocate them,” said Bruce Patterson from The Field Museum of Natural History in the US. “This lion would have been challenged to subdue and kill large struggling prey, humans are so much easier to catch,” Patterson said. The diseased lion's partner, on the other hand, had less pronounced injuries to its teeth and jaw – injuries that are fairly common in lions which are not man eaters. According to the same chemical analysis, it consumed a lot more zebras and buffaloes, and far fewer people, than its hunting companion, researchers said. “Our results suggest that preying on people was not the lions' last resort, rather, it was simply the easiest solution to a problem that they confronted,” said DeSantis.